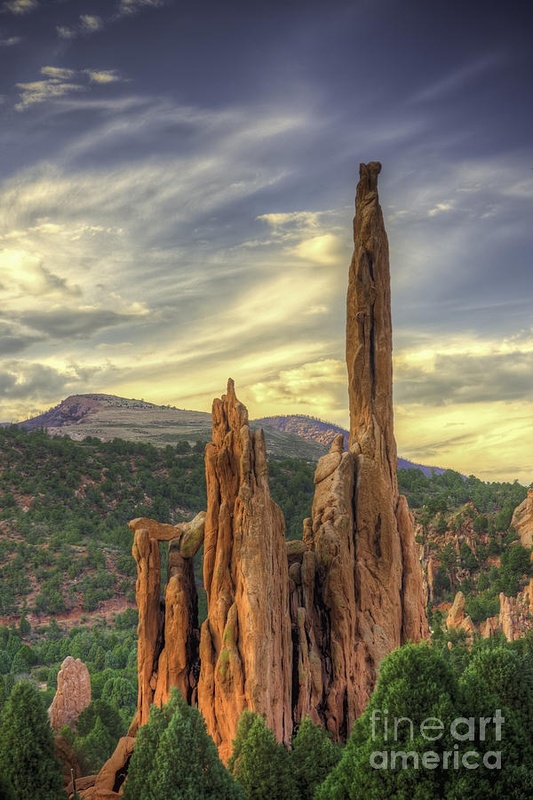 Garden of the Gods is a public park located in Colorado Springs, Colorado, USA. It was designated a National Natural Landmark in 1971. The Garden of the Gods Park is popular for hiking, technical rock climbing, road and mountain biking and horseback riding. It attracts more than two million visitors a year and becomes the city’s most visited park. There are more than 15 miles of trails with a 1.5 mile trail running through the heart of the park that is paved and wheelchair accessible. Annual events including two summer running races, recreational bike rides and Pro Cycling Challenge Prologue also take place in this park.